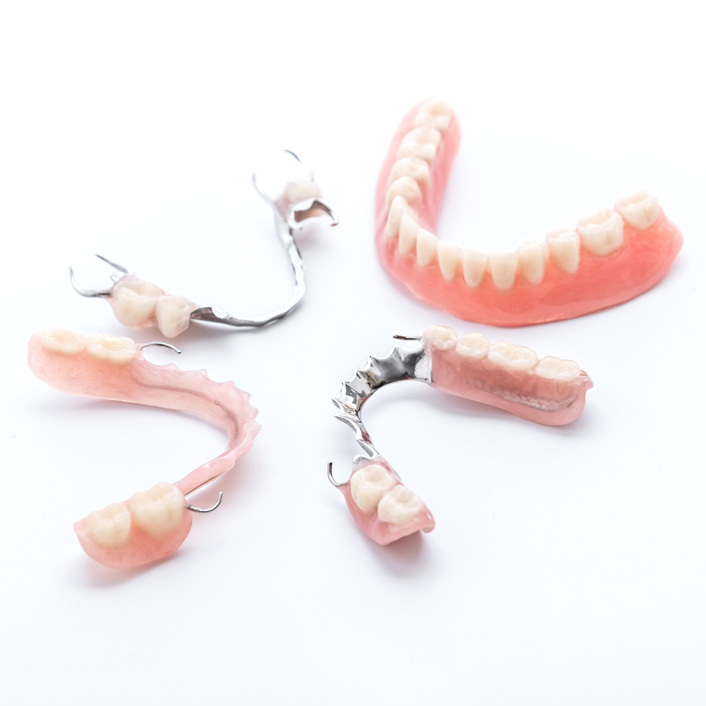 A removable partial denture is used when one or more natural teeth still remain in the upper or lower jaw. Made of replacement teeth attached to a pink or gum-colored plastic base, partials help restore better functionality to the mouth. As with complete dentures, it is possible to have more permanent option cemented into place.